Welcome To The Largest, Small Town Texas Lodge Web Site On The Internet. . . . We Are Proud To Provide More Light In Masonry. . . . Junior Deacon Alan "AJ" Ward Jr.
"WALLER - THE GOOD TIME LODGE"
Waller Lodge is known as "The Good Time Lodge". We believe that we are BROTHERS in every sense of the word. We are a very close group of men who dearly enjoy being with each other and working together. We take our laughter very seriously, and love sharing our "good times" with other lodges and visiting brethren whenever we get the chance. So, come sit with us and see why we are so deservedly called "The Good Time Lodge". And Yes, There Is A Big Difference. Masonry Ritual, In Plain English? The Lodge Room Over Simpkins' Store. Did Freemasons Really Exist Before Christ? What Is The Shrine And A Shriner? lots of Masonic information, try my other Masonic sites. 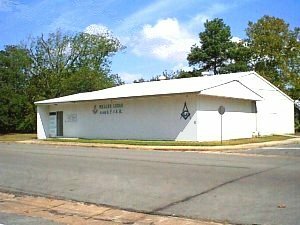 "Small Town Texas Masonic E-magazine"
"Valley Hi Masonic Lodge #1407 AF & AM"
Mason. You have to ask a Mason to become a Mason. Written material, concepts, and original graphics contained herein may be freely used by any just and legally constituted lodge for the promulgation of Masonry. Waller Masonic Lodge does not endorse any of the advertisers shown on any page which may be linked to this website. All non-original graphic files, audio files, and java scripts are thought to be in the public domain, or are credited to their owner as per instructions for use. The views and opinions expressed on this website are those of the Webmaster ,as approved by Waller Lodge #808 A.F. & A.M.